"The Cursed" is a very unique FREE realtime-strategy game based on the Spring engine. The game is about bones, undead, demons, space marines and magic settled in a futuristic environment. 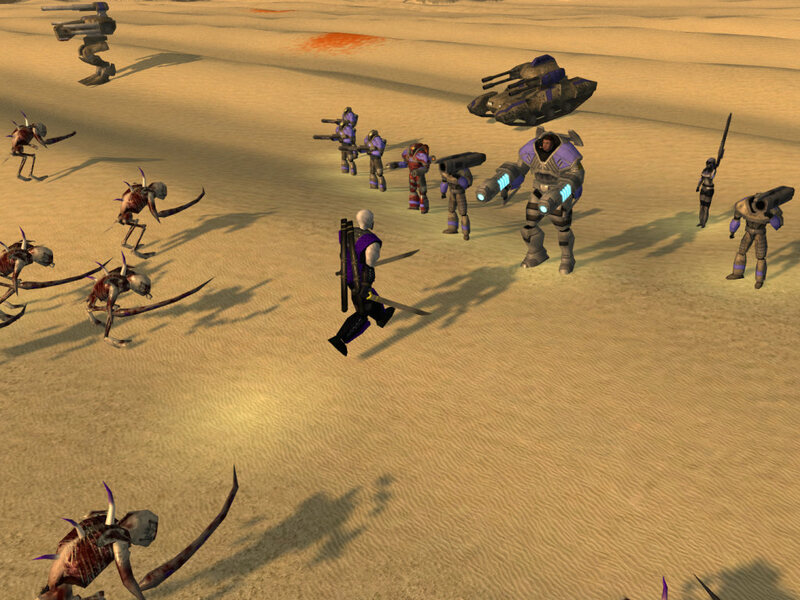 It is a fresh mixture of gameplay elements from many popular RTS games. Report RSS	New The Cursed (including heroes and a new engine) version is out! "The Cursed" is a very unique FREE realtime-strategy game based on the Spring engine (Windows & Linux). The game is about bones, undead, demons, space marines and magic settled in a futuristic environment. It is a fresh mixture of gameplay elements from many popular RTS games. A new full installer for The Cursed is available now. In the first place it includes a brand new version of the game. Moreover it features a new version of Spring engine that comes (among other things) with a drastically improved pathfinder algorithm. The implementation of hero system took me some time. The present state looks like this: you start with a hero and a couple of other units. Currently there is one hero per faction: the imperial "Sarge" (assault class) and the undead "Shade" (melee class). The hero will gain experience when he kills enemies (or is close to allied units that kill enemies) and levels linearly. There are currently 5 hero levels that can be achieved. Whenever your hero dies he will receive a XP-penalty but will not lose a level (no matter how many XPs you loose). A killed hero can be rebuilt in the barracks/pyramid. Heroes are now a fixed game play element in The Cursed. There may appear additional heroes to choose from if you guys like the hero concept. Go get it while it is hot!! !